"It feels so good to be back in Canada," yelled Jimmy Vallance, one half of de facto Vancouver electro-duo Bob Moses, to the hipster crowd at Theatre Fairmount on Sunday night (October 4). 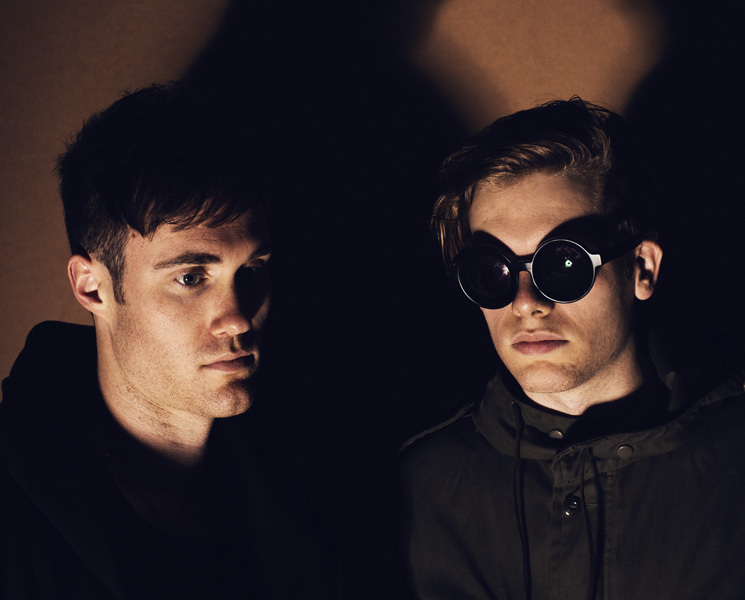 Now firmly entrenched in the Brooklyn scene, Bob Moses are touring their debut full-length, Days Gone By. The crowd was slow to get moving at first, seemingly not knowing exactly how to act or dance to the first round of rhythmically indistinguishable tracks, led by single "Talk." Opener Desert Sound Colony's set had been more intimate, varied and lounge-y, which had fit the Sunday evening mood. He'd even thrown in a cover of Bob Moses' "All I Want," which was clever. But after Tom Howie's passionate delivery of "Far From The Tree," the pitch of the room shifted more into gear. The duo used a sparse setup on stage — Vallance controlling the Ableton-powered rhythmic backbone of the show, while other half Howie sang and played the occasional riff on an electric guitar. It mostly worked; people danced and moved. The sound was decent, though too compressed through the mid-range and lacking warmth in the lows. Vallance ventured out into the crowd a few times and garnered waves of applause and cheers, while Howie's vocals soared above the hypnotic beat. The highlight section of the night included "Winter's Song" and title track, and the beautiful transition between them; the lights were dim and the room moved with the duo. It was one of those special moments where everything in the venue synced up and people forgot themselves and their lives as they surrendered to the moment. Unfortunately, the moment stood out particularly strongly because the show before and after it lacked real punch. The homogenous, easy-to-access rhythmic and harmonic nature of Bob Moses' music, which has resulted in so much success for them online and with tastemaker DJs didn't necessarily translate in their live show, or at least not consistently. It would have been nice to hear more than one tempo and more dynamics. Had the duo arranged live versions of their songs, rather than simply playing identically to their record, the effect of their presence onstage might have been amplified. It was a good performance — the crowd danced, which is what Bob Moses' music is made for — but upon closing their set relatively early, one was left with the strange impression that the duo were stuck between a more fully arranged live show and a longer DJ set. Either one, really, would have been preferable.